Episode 69 features Darcy Galane who hails from Brooklyn NY. Darcy is at a transition point in her life. She is currently not employed and describes her transition fraught with opportunity, excitement and fear. She went through law school and passed the bar exam, but never practiced law. She spent some time working in educational publishing, particularly with writing and editing. She describes herself as happiest when she is writing – as that is her most authentic self. She comes from a family of writers. Listen in as we talk about stuttering vs. just being quiet, anticipatory stuttering and helpful vs. harmful therapy experiences. We also discuss advertising and covert stuttering. We met on the covert-S email group, which Darcy joined after her first NSA conference in Cleveland in 2010. Darcy was initially conflicted about joining the covert group and even identifying herself as covert. She acknowledges avoidance behavior, but was unsure if that really made her “covert.” Proof that covert stuttering is indeed complex! We also discussed Vivian Sisskin’s avoidance reduction therapy, and how that helped Darcy look at her stuttering differently. Please be sure to leave comments or ask questions of Darcy. Remember, feedback is a gift. Music used in this episode is credited to ccMixter. 3 Responses to "Be Not Afraid – Episode 69"
I think Darcy’s take on advertising is very genuine! When she spoke about her camp meeting introductions wherein only if she gets into a block that she would advertise; I could totally relate to that. I’ve been getting the impression from many stuttering blogs and podcasts that self-advertising (more precisely, disclosing initially or separately that one stutters) fits the bill for practically every situation. I don’t think that holds true.I think advertising in a conversation or situation which entails a fairly appreciable communication period and holds importance for the person who stutters on a personal level is appropriate. But if I go into a cafe and stutter pretty well on the C of coffee, I don’t think I need to advertise or say anything to back that up! I don’t know why I just blurted all this on your wall haha. Sorry! I actually had this running around my mind for the past couple of days and I’m happy I heard Darcy speak about it so honestly! Makes me realize that the screws in my head are not that loose haha. Anyways, this was an awesome episode! Thanks for the feedback. And of course the screws in your head are not that loose. Everyone has a different take on advertising. I tend to do it at the beginning when I am talking or making a presentation to a new group of people. More for my own sanity and to lessen anxiety. But I fully agree with you on the other point – when I go into a coffee shop and stutter on the hard “c”, which I often do, i don’t advertise to them that I stutter, unless someone is grossly inappropriate and laughs or mimics me. Then I might. Glad you liked the episode. Hope Darcy sees the feedback. 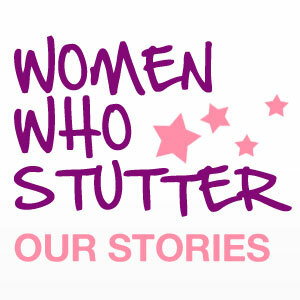 Devayan – I will soon be posting an episode of my very occasional podcast with men who stutter. This one features a young man from India. I will be interested in your feedback on that one. Who knows – maybe you’ll be writing me asking to be a guest! A podcast featuring a guy, which I presume is the first of its kind in this space, and he is Indian! Wow! I’m surprised how that didn’t turn out to be me haha. I’m definitely looking forward for tuning into this one.